• Available Duramax Diesel power and integrated trailering technologies give you the confidence to control heavy loads. • Available Gooseneck/Fifth Wheel Prep Package. 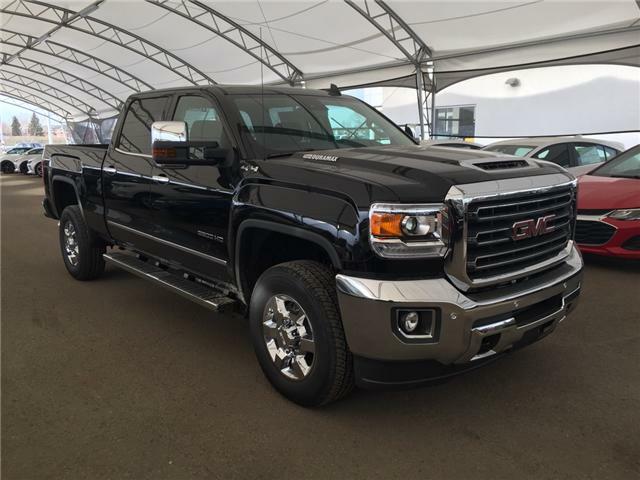 The advanced DURAMAX diesel in the Sierra 3500HD delivers 397 hp and 765 lb-ft of torque, making it the most powerful Sierra ever. The DURAMAX diesel engine has a strong reputation and a proven track record, with nearly 1.4 million sold since 2000. Paired with the sophisticated Allison® 1000 Series transmission with overdrive, this available powertrain also offers a maximum highway range of up to 680 miles on a single fill-up. This ferritic nitrocarburizing technology is a GM-exclusive patented process that hardens and strengthens brakes. Duralife® protects against corrosion and can double the life of the brakes compared to conventional rotors. The enhanced Allison 1000 is strengthened to handle the higher torque capability of the 6.6L DURAMAX engine, while also helping improve fuel economy and provide seamless assistance with the exhaust brake system. 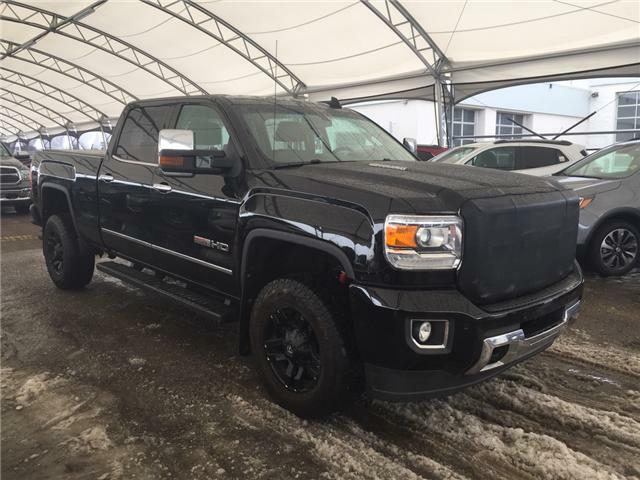 For fast starts in cold Alberta winters, quiet operation and maximum efficiency, the direct injection system helps Sierra HD with the available DURAMAX diesel engine start in as little as 3 seconds at -40ºF. It operates at nearly 30,000 psi to turn heavy diesel fuel into a fine mist, delivering low emissions and great power. 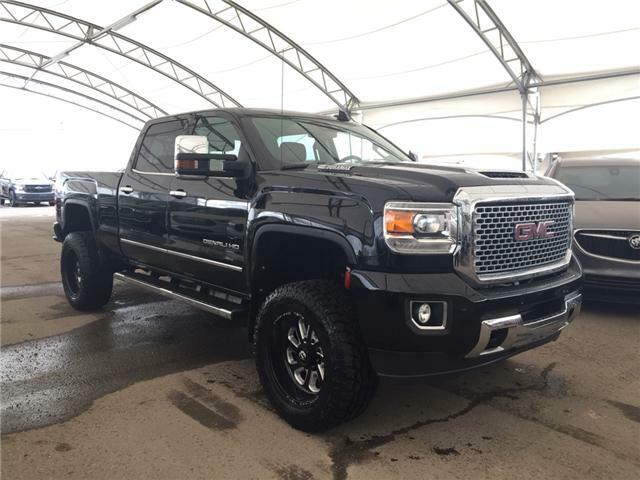 Sierra 3500HD delivers a smooth ride with a fully independent coil-over-shock front suspension and 3”-wide multistage rear leaf springs, which engage progressively as the load in the bed or the hitch increases. 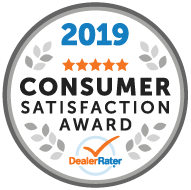 No other competitor in its class offers a standard fully automatic locking rear differential for on- or off-road use. Stay confidently in command of your truck and whatever you may be hauling or trailering.